When Romanna Flores was 9 years old, she dismantled her first electronic device, a “Bionic Woman” wrist radio. 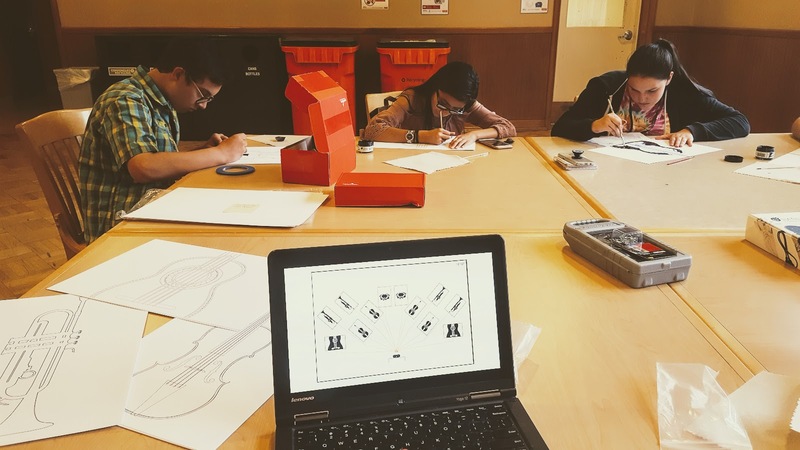 For the past six years she has been channeling this insatiable curiosity into leading LEGO robotics and Young Maker clubs as a parent volunteer through Oregon State University’s 4-H Extension. 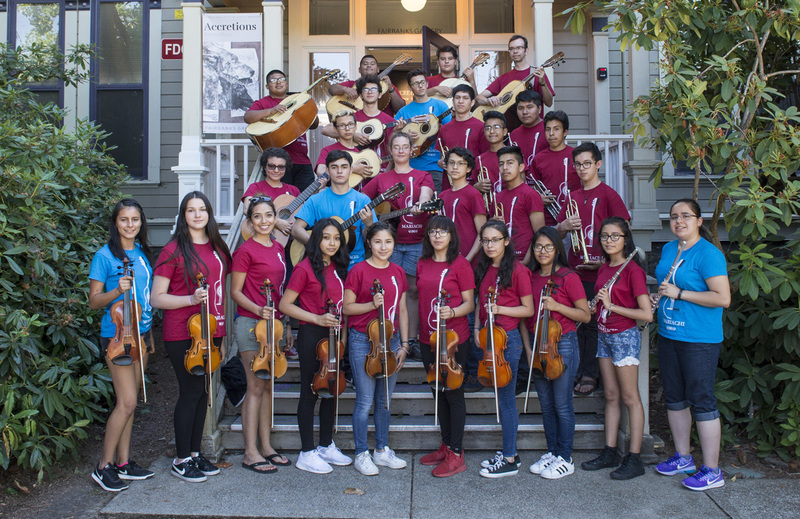 In 2016 Romanna teamed up with Dan Bosshardt, a music teacher from Hillsboro School District, and Dr. Eduardo Cotilla-Sanchez, an assistant professor in the School of Electrical Engineering and Computer Science at OSU, to offer a Mariachi STEAM Summer Camp on campus. 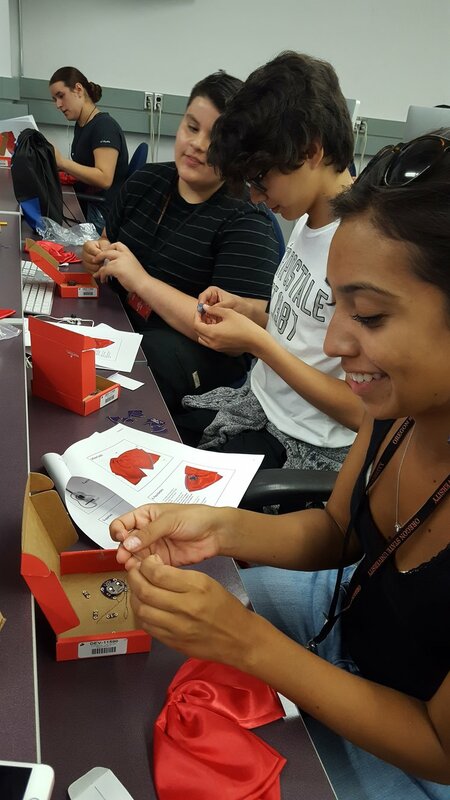 The four-day camp provided young Latino students entering grades 8–12 the opportunity to explore STEAM concepts and demonstrate how technology can preserve this more than a century-old community art form. 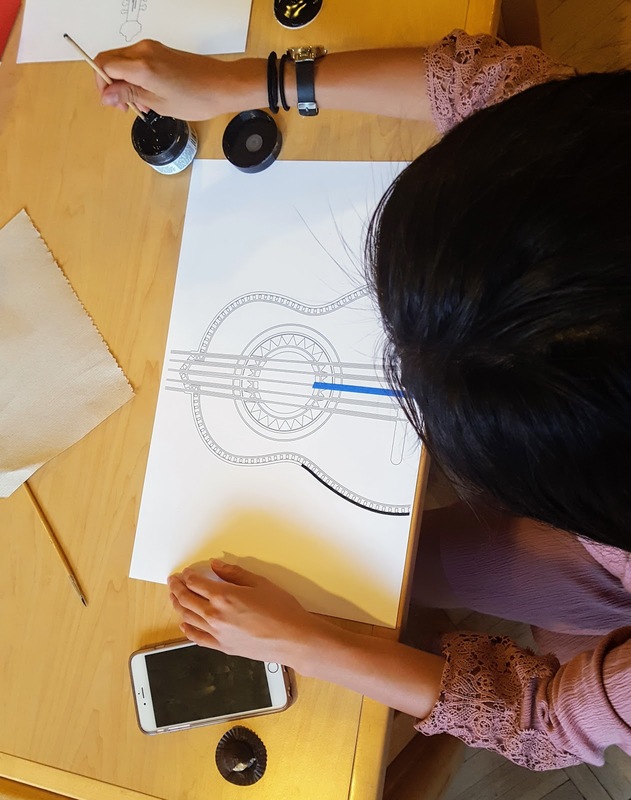 Among the students’ activities in the camp’s first year were making musical greeting cards with recordings of their own music and lighting up the Mariachi uniforms’ moños, or bowties, using SparkFun’s Lily Twinkle boards. This summer’s camp was two days longer, and students again stayed on campus, getting a taste of the college experience. Romanna took the technology side of camp even further, first having students record their music and edit the recordings using an online tool called Soundtrap. 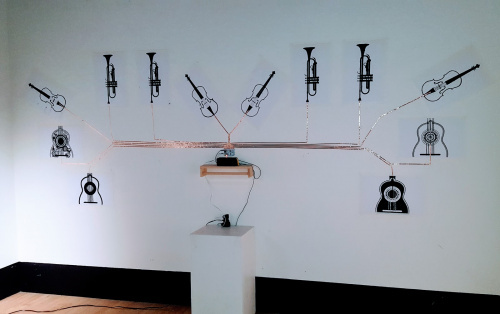 Their finished music files were then uploaded to the microSD card used in the sound installation of an interactive mural made from a Bare Conductive Touch Board and conductive paint donated by SparkFun Electronics. “I earned my bachelor’s and master’s in art and technology studies, so the idea of painting was very enticing,” Romanna said. Her education at The School of the Art Institute of Chicago introduced her to multiple tech specialties including computer design, 3D modeling, animation and programming. She has since spent many years creating innovative, digital interactions in a variety of industries including education, finance and currently high-tech, where she designs mobile applications. Students who come to the OSU campus from Forest Grove, Hillsboro and Portland school districts have one thing in common: a love of Mariachi music. 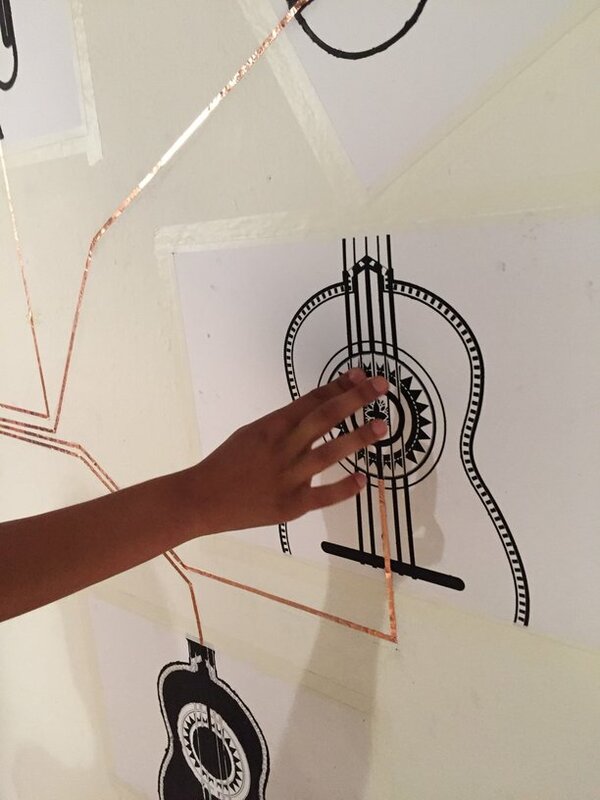 Mariachi STEAM camp’s goal is to provide an authentic engagement with middle and high school students where they can explore STEAM concepts through their passion for music. Participants and their families simultaneously learn about opportunities for higher education, STEAM studies and careers. The Bare Conductive mural activity was expedited by providing printouts of instrument templates for the students to paint using the conductive paint during their daily recreation time --- Mariachi Flor de Toloache always playing in the background. Students were fascinated with the paint’s chemical properties. What makes it conductive? Will it still be conductive if I dilute the paint with water? That curiosity sparked a conversation and prompted “Googling” questions. During the technology workshops at camp, students recorded, digitized and edited their music. When it was time to bring it all together into a musical mural, they used the paintings of instruments they had made, the Bare Conductive Touch Board and copper tape, finding string to “wire” the circuit before placing the tape. OSU’s School of Arts and Communication donated use of one of its gallery spaces for the mural, which Romanna said really excited the students. When it was time for the “unveiling,” both faculty and students marveled at what was achieved in such a short time frame. 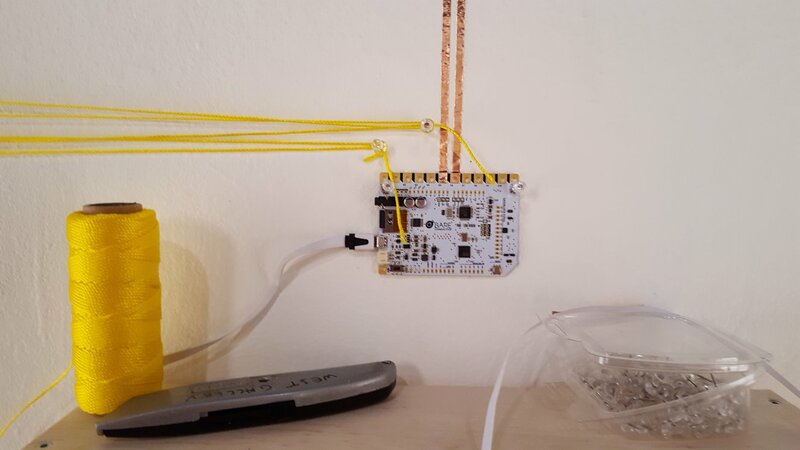 Want to try your own project with electric paint? SparkFun’s new Bare Conductive Touch Board Pro Kit makes it easier than ever!